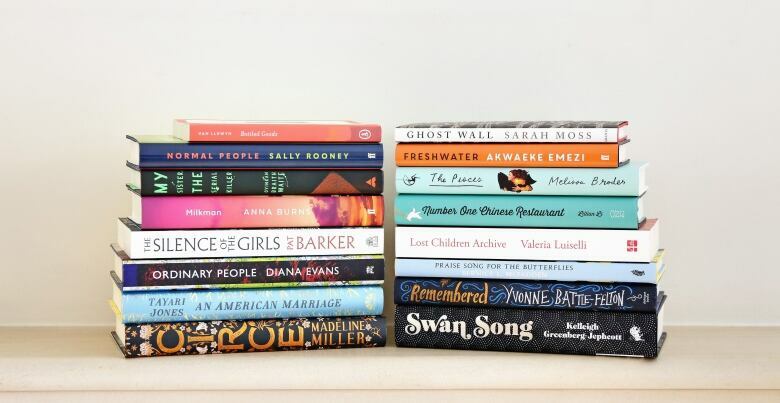 Sixteen books have been named to the 2019 longlist of the Women's Prize, an annual £30,000 (approx. $51,690 Cdn) given to the year's best novel written by a woman in English. 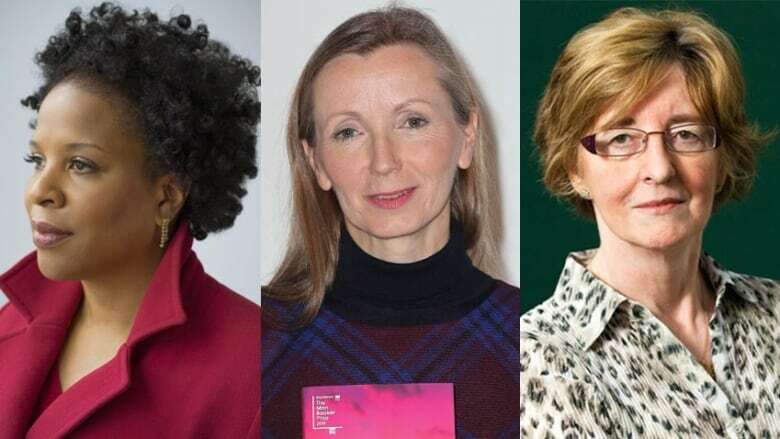 Sixteen books have been named to the Women's Prize 2019 longlist, including Northern Irish writer Anna Burns's 2018 Man Booker Prize-winning novel Milkman, American Tayari Jones's critically acclaimed An American Marriage and British author Pat Barker's Trojan War epic The Silence of the Girls. The Women's Prize, previously known as the Baileys Women's Prize for Fiction and Orange Prize for Fiction, annually awards £30,000 (approx. $51,690 Cdn) to the year's best novel written by a woman in English. There are no Canadians on the longlist this year. ​The shortlist will be announced on April 29, followed by the winner announcement on June 5. The judges this year include history professor Kate Williams, journalist Arifa Akbar, columinst Dolly Alderton, psychotherapist and social advocate Leyla Hussein and entrepreneur Sarah Wood. Burns's Milkman follows a narrator known only as "middle sister" whose small town's conservative gaze turns against her when an older man pursues her, despite her attempts to avoid him. Jones's novel An American Marriage tells the story of Celestial and Roy, a young couple whose lives are torn apart when Roy, a black man, is incarcerated for a crime he did not commit. Barker's The Silence of the Girls is a retelling of The Iliad, imagining the Trojan War through the eyes of 15-year-old Briseis, a queen who becomes Achilles's captured slave and who is largely silent in Homer's epic poem. Nigerian writer Oyinkan Braithwaite is nominated for her break-out debut My Sister, The Serial Killer, a darkly comic novel about a woman who cleans up after her younger sister's murderous tendencies. Irish writer Sally Rooney is in the running for her sophomore novel Normal People, which tells the story of an unlikely high school friendship that drifts in and out of romance as the years pass. It won the 2018 Costa Novel Award in January and will be released in Canada in April. Mexican author Valeria Luiselli is longlisted for Lost Children Archive, a novel about a family road trip that deteriorates as news of an "immigration crisis" at the U.S.-Mexico border breaks over the radio. British novelist Sarah Moss explores how distorted views of history can be used to promote hatred and fear in her longlisted novel Ghost Wall, following a young woman and her abusive father on an archaeological dig in northern England. British author Diana Evans is nominated for her third novel Ordinary People, telling the story of two couples heading towards a life-changing crossroads in London. American writer Bernice L. McFadden is on the longlist for Praise Song for the Butterflies, which follows the fate of a young girl who is forced into a life of slavery at a shrine when her parents can no longer afford to raise her. American novelist Madeline Miller, who previously won the Orange Prize in 2012 for The Song of Achilles, is nominated this year for another ancient Greek-inspired novel, Circe. This second novel tells the story of a powerful witch, the daughter of titans, who finds herself up against Zeus and other Olympians. Igo and Tamil author Akwaeke Emezi is a nominee for their debut, Freshwater, a novel about a Nigerian woman named Ada who copes with having several personalities within her as a result of being born "with one foot on the other side." Fellow first-time novelists on the longlist include Americans Yvonne Battle-Fenton for her historical fiction book Remembered, Melissa Broder for her witty fantasy novel The Pisces, Kelleigh Greenberg-Jephcott for her novel on Truman Capote called Swan Song, Lillian Lee for her multigenerational book Number One Chinese Restaurant and Romanian German writer Sophie van Llewyn for her magically surreal novella-in-flash Bottled Goods. The 2018 winner was Karachi-born English novelist Kamila Shamsie for the novel Home Fire.